South Africa – Have you ever thought about the skill it takes (not to mention the guts) to be able to track animals of the wild? We’re talking lions, leopards and pretty much every other animal you can think of. Lucas Mathonsi from Sgagula, South Africa knows what we’re taking about because he is now one of only four coveted Master Trackers in the world. His story begins as a five-year-old boy who used to accompany his father who was a ranger in the Timbavati reserve. It is here that Lucas Mathonsi was taught about the animals in the reserve and how to track them. 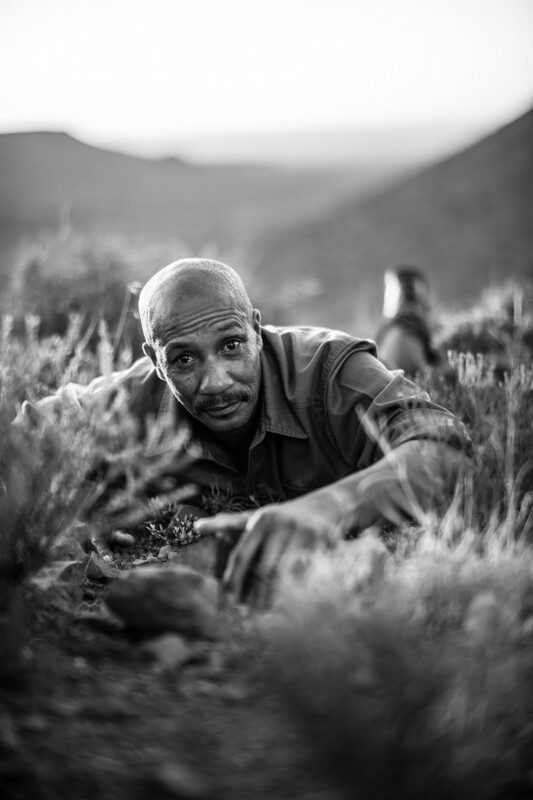 Over the next 47 years, Lucas honed his skills working as a tracker in the Timbavati and Balule reserves, before joining Lion Sands in 2006 as a Senior Tracker. Lucas is renowned for his particular penchant for tracking the elusive Leopard. 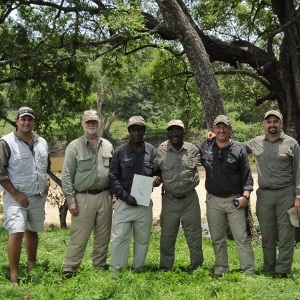 In 2013, under the tutelage and mentorships of Louis Liebenberg, Juan Pinto and Wilson Masia, Lucas achieved the much coveted Master Tracker qualification, becoming one of four existing Master Trackers in the world, and only the second tracker to be awarded this prestigious qualification in the Lowveld since 1994. The Cybertracker qualification is an assessment that was created by Louis Liebenberg after realising that the art of tracking is a skill and talent that needs to be recognised and validated. 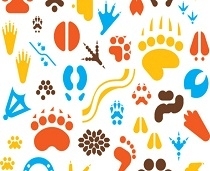 An assessment system has been created and revolves around the identification of tracks as well as following animal tracks and trails in order to find the animal. For detailed info, click here. In celebration of this remarkable life achievement, the Lion Sands Game Reserve will be naming the link road between Lion Sands Sabi Sand and Lion Sands Kruger National Park the “The Mathonsi Link”. This entry was posted in 4 The Art of Tracking, 6 Conservation and tagged CyberTracker, Juan Pinto, Lion Sands, Louis Liebenberg, Lucas Mathonsi, master tracker, Tracker Evaluations, Wilson Masia on 2014/02/08 by Louis Liebenberg. In 2003, trained trackers combing the rich jungles in the Republic of Congo’s Lossi Sanctuary for gorillas and chimpanzees stumbled upon a disturbing trend. Duikers, dog-sized antelopes that weave and dive through the jungle’s dense undergrowth, were dying at an astounding rate—local indices dropped 50 percent compared to a 2000 census. Gorillas and chimpanzees were dying at similar rates. Blood tests confirmed the culprit was the deadly virus Ebola. The surprise was that no one had previously known that Ebola killed antelopes. Yet there was no doubt the terrible data were real. The findings were based on hundreds of observations precisely mapped with CyberTracker software. CyberTracker allows hand-held computers to use stylized images instead of text for data entry. Its heart is a menu of icons that depict whatever elements researchers choose. Trackers need only select a pre-programmed image that matches what they see—a grazing antelope, a carabid beetle—and with one tap, the observation is recorded and paired with geographic coordinates via a Global Positioning System (GPS) link. Trackers hardly have to break stride as they work, which allows enormous numbers of data points to be amassed with little effort. The information can be downloaded to a computer and immediately mapped, thus enabling scientists to make real-time observations about trends, such as the ones from Lossi Sanctuary that showed duiker declines. The program’s greatest strength, and the feature that sets it apart from its competitors, is its ability to transcend language and culture because of its reliance on images, not words, for data entry. CyberTracker creator Louis Liebenberg, a South African scientist and author, first came up with the idea in 1996 while tracking with a group of Kalahari Bushmen. Liebenberg realized that he could help save the Bushmen’s rapidly disappearing knowledge if he could find a way to help trackers, who could neither read nor write, record their observations. Thus CyberTracker was born. 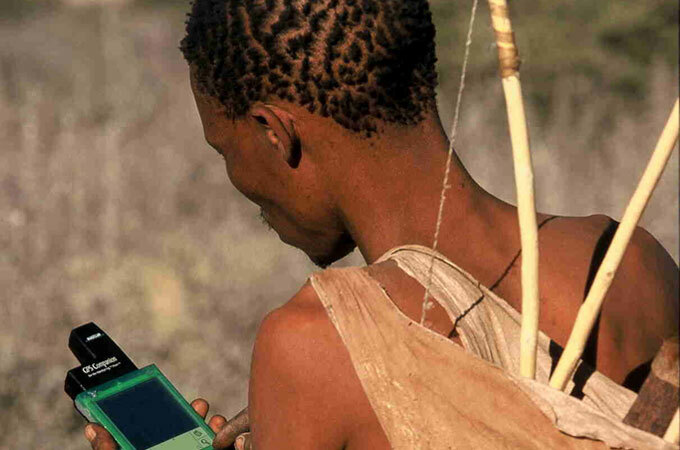 CyberTracker’s biggest impact has been in South Africa’s national park system. Kruger National Park official Judith Kruger says that rangers use 110 hand-held computers daily to record sightings on patrol—everything from broken fences to elephant-damaged trees to invertebrates. Liebenberg and two rangers from South Africa’s Karoo National Park used it to document seasonal shifts in black rhino feeding behavior. And CyberTracker is being used to record garbage found littering beaches in Gabon as a way to persuade source nations to help clean up. The program allows for remarkable precision: one 500-m-long section of shoreline in Loango National Park was covered with 535 plastic water bottles and 560 flip-flops among more than 3,000 bits of trash. The software is free and has been downloaded by more than 6,000 people since it was first made available on the Internet in 2000. About 500 users from 30 countries have registered the software—from the entire Spanish National Park Service to a multinational research group in the Arctic to individual trackers in the U.S. With the help of a 2-million-Euro (approximately US$2 million) grant from the European Commission and Conservation International, Liebenberg is developing the next generation of Cyber-Tracker. Three versions will offer increasingly complex programming features along with conservation-specific analysis tools to allow the calculation of standard measures such as Patrol Effort or Index of Abundance. Liebenberg, L. et al. 1999. Rhino tracking with the CyberTracker field computer. Pachyderm 27:59-61. Leroy, E. et al. 2004. Multiple Ebola virus transmission events and rapid decline of Central African wildlife. Science 303:387-390. Nancy Bazilchuk is a freelance writer based in Trondheim, Norway. This entry was posted in 4 The Art of Tracking, 6 Conservation and tagged Bushmen, Congo, conservation, CyberTracker, Ebola, Global Positioning System (GPS), Gorillas, Kalahari, Kruger National Park, Louis Liebenberg on 2014/02/07 by Louis Liebenberg. One of the earliest devices (but not the first) that physicists used to detect, track and measure subatomic particles is something called a cloud chamber. The cloud chamber was invented in 1911 by the Scottish physicist Charles Wilson. A cloud chamber is actually a rather simple device. A glass container is saturated with water or alcohol vapor and a temperature gradient is created by placing dry ice on the bottom and a hot water pack on top. This gradient produces an atmosphere that allow clouds to form. When a radioactive substance is introduced in the chamber, it releases subatomic particles like electrons and beta particles (a helium nucleus). These particles acts as the “condensation” nuclei, and as they stream out of the radioactive source, they produce visible streams of ‘clouds’. We can not actually see the subatomic particles; what we see is water vapor (or alcohol vapor) nucleated by the particles. Different particles behave differently in different situations, like in a magnetic field across the chamber. Electrons and beta particles have opposite charges, for example, so they will bend in opposite directions in a magnetic field. Beta particles are more massive than electrons, so they will not bend as sharply. “Seeing” electrons and beta particles is relatively easy. Any radioactive substance will do. You can actually purchase Tritium (radioactive helium isotope) or other radioactive sources and build your own cloud chamber with household items. In the past 100 years, more sophisticated devices have been invented to track subatomic particles, but the basic tracking principles are the same. To find particles like the Higgs boson, we also need to know where and how to look for them. Physicists come up with complicated mathematics models to figure out the conditions and variables needed to produce the particles, and then try to produce them by creating the conditions and manipulating the necessary variables. There is a rather simple 3-step formula that physicists follow either knowingly or by habit. First (step 1) you study the tracks and behavior of particles in ideal conditions or situations that are easy to discern. You build on what we already know, essentially. That’s why physicists spend so much time and effort in school before actually working in a laboratory. In step 2, you manipulate the conditions and collect data in different situations following the same kind of thought processes. Then once you have enough data, you use that data to construct a working hypothesis of where and how to find the next particle. From this hypothetical reconstruction you look for the most likely place to find tracks or other evidence of new particles (step 3). The Higgs boson, for example, has made it to step 2 of this formula (enough data has been collected to develop a working hypothesis that it exists), and recently, after overcoming some complications, made it to step 3 (actually finding evidence of it’s existance). 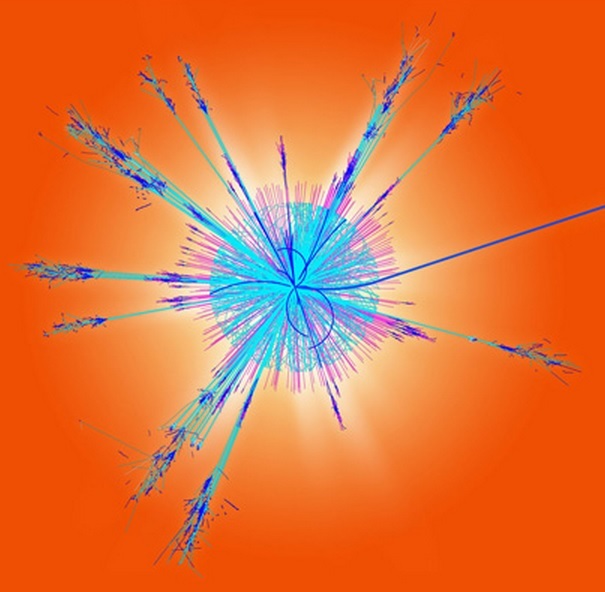 If the Higgs boson did not exist we would have had to come up with a new hypothesis. This thought process is sometimes called the scientific method or deductive reasoning (or call it the hypothetico-deductive method if you really want to impress people), and it’s greatest power is that it allows us to know about things and processes we cannot see. This is a quite powerful and effective tool, and it has had a profound effect on how humans function in the world. We are often taught that the scientific method was first fully developed by Europeans sometime between the Renaissance and the industrial revolution, or the era loosely known as the age of Enlightenment. It is, in fact, often claimed to be directly responsible for the European ‘Enlightenment’. Other sources credit ancient Greek philosophers with first articulating the reasoning process, or at least the legitimate system of reasoning. In 350 B.C., Aristotle wrote a book titled Organon in which he articulates the art of reasoning. Unfortunately, this system did not help Aristotle in figuring out that the earth revolves around the Sun, however. Sometime in the 1980s, a man from South Africa by the name of Louis Liebenberg started his academic career by studying physics and mathematics at the University of Cape Town and was initially interested in particle physics. After taking a course in the philosophy of science, however, he became interested in an idea that the origins of science began not with the age of Enlightenment or with the Greeks but rather with our hunting and gathering ancestors, and that tracking sub-atomic particles is not much different, conceptually at least, than hunting wild game. 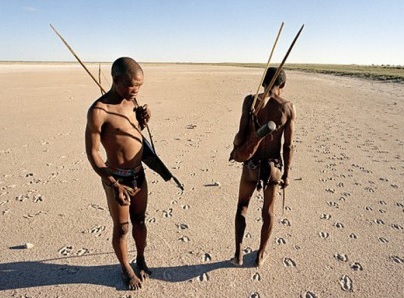 Having grown up in South Africa during apartheid, Liebenberg had never worked with a black African until studying hunting techniques with the Kalahari San or !Kung people in Botswana and Namibia (often popularly known as Bushmen). Liebenberg wrote a book in 1990 titled the Art of Tracking: the Origins of Science where he states that the tracking ability of foragers and hunters “is science that requires fundamentally the same intellectual abilities as modern physics and mathematics.” When tracking down animals, for example, you can’t just follow the tracks because they disappear eventually. The hunter-gatherers gather data about the feeding habits, breeding behavior, and migrating patterns of animals, for example (step 1 of the 3-step process mentioned above). They then use the that information to create hypotheses and models about where to find more animals (step 2). The hunters then follows the models to track down and ‘confirm’ their models (step 3). This knowledge underpins “a process of creative problem-solving in which hypotheses are continuously tested against spoor evidence, rejecting those which do not stand up and replacing them with better hypotheses.” In essence, this ability is what makes us human, and for more than 200,000 years, we have used this ability for hunting animals and gathering plants, and only recently have we co-opted this strategy for finding other things like subatomic particles, criminals, and lower prices on houses, stocks and bonds, and household items. The two major differences between hunters of Kalahari and the particle trackers at CERN are the things they are looking for and the instruments used to record data of the things’ whereabouts. Concerning the first difference, you might say that the CERN physicists have a more inefficient and indirect way of obtaining their food. They use their hunting skills to find particles they can not eat but they keep detailed records and write down their predictions and discoveries which they use to impress other people who provide them the means to obtain their food. Concerning the second difference, the San depend primarily on their memories to record data, whereas CERN physicists are somewhat deficient in their memory skills so they have come to depend on other recording devices. To be fair, the physicists have a very massive load of data to work with. They have so much data and information they share with physicists from all over the world that one of their former engineers, Tim Berners-Lee, developed in 1989 a protocol for hypertext documentation known as the ‘World Wide Web’ to make things a little easier (it initially didn’t help much with that effort, but other people outside of CERN found the protocol useful). In 1997, Liebenberg got together with Justin Steventon, a software developer at Microsoft to found a company called CyberTracker. CyberTracker makes software for portable electronic devices that could be used to track and record wildlife. The idea was inspired by Liebenberg’s interactions among the Kalahari San. CyberTracker software is not only used to track wild game, but is also being used in wildlife preservation efforts, search and rescue missions, and even in finding criminals. Leon Lederman. 1996. The God Particle: If the Universe is the Answer, What is the Question? New York: Houghton Mifflin. Louis W. Liebenberg. 1990. The Art of Tracking: The Origins of Science. Cape Town, South Africa: David Phillip. Building a Cloud Chamber for detecting Cosmic Rays, from the American Museum of Natural History. This entry was posted in 3 The Origin of Science, 4 The Art of Tracking and tagged 3.1 Scientific Reasoning, 4 The Art of Tracking, Higgs boson, Louis Liebenberg, origin of science, scientific method, subatomic paticles, tracking particles on 2014/02/05 by Louis Liebenberg.